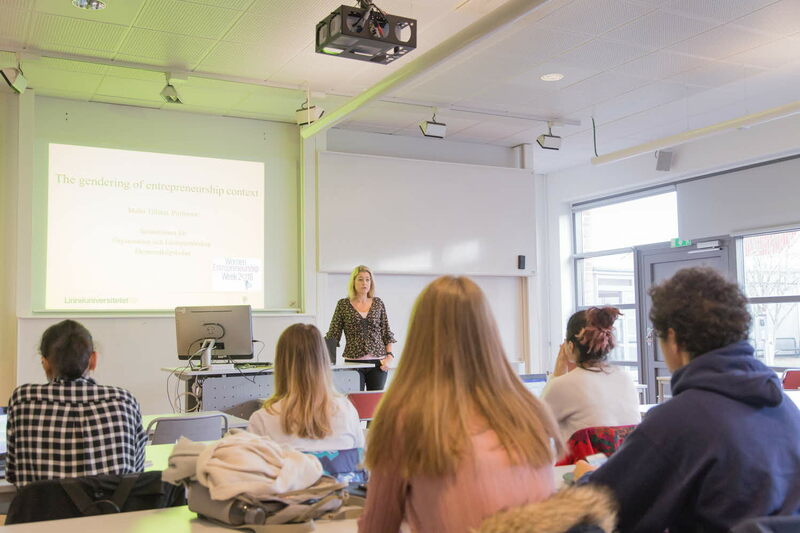 Linnaeus University was the only university in Sweden to participate in Women Entrepreneurship Week 2018. 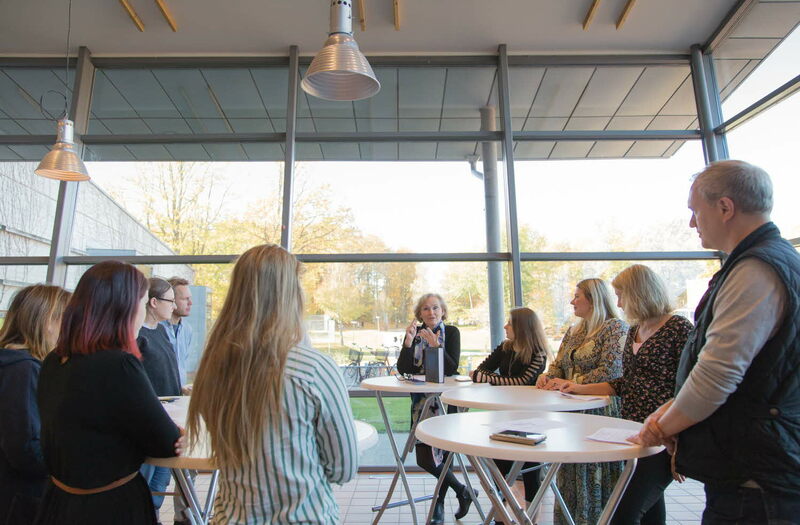 The knowledge platform entrepreneurship and social change at the school of business and economics was the organiser at Linnaeus University and arranged three different events October 18–19. 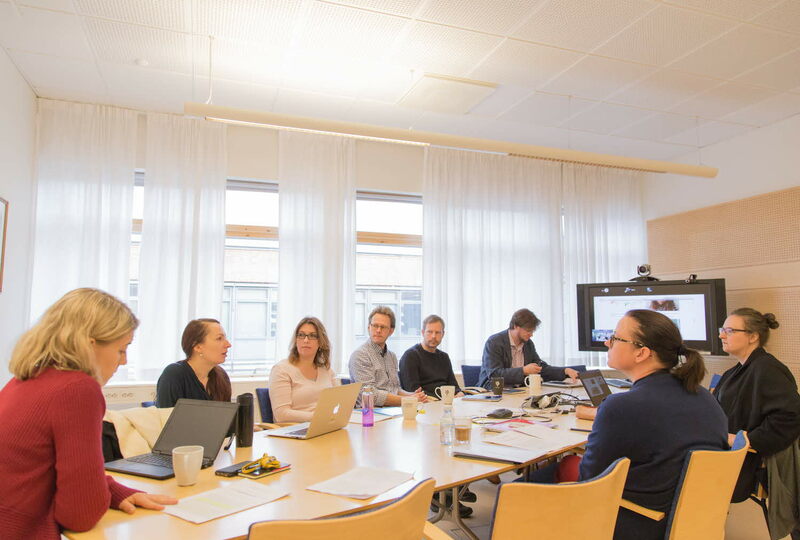 The activities started on October 18 with a presentation at a research seminar by the researchers Viktorija Kalonaityte and Anna Alexandersson of their research article Girlhood as visual entrepreneurship practices. On the morning of October 19, Malin Tillmar, professor of entrepreneurship, gave a lecture on the topic The gendering of entrepreneurship context to students from the master programme in entrepreneurship, colleagues, and the public, at which she provided examples from around the world on how entrepreneurship and perceptions of entrepreneurship are affected by gender in different contexts (countries, lines of trade, living environments, etc.). Later that same day, October 19, a lunch chat was arranged – a conversation on women entrepreneurship in open format between Sofi Poulsen, fantasy author and owner of Sofi Poulsen Förlag; Catharina Värendh Boson, CEO at Almi Kronoberg; Isabell Ternemo, business developer at Drivhuset at Linnaeus University, and Malin Tillmar, professor of entrepreneurship at Linnaeus University, as well as audience and participants. The conversation was moderated by Hans Lundberg, researcher and teacher in entrepreneurship at Linnaeus University. The conversation contained a good mixture of strong testimony on the entire span of wonderful and awful experiences women have had when working as women entrepreneurs to insights into differences between various lines of trade, numerical overviews, and a debate on what women entrepreneurship looks like in Sweden in different contexts and a thorough insight into the support and the networks that are available to women entrepreneurs in Småland, Sweden, and the world. Download high resolution photos here. Around the world, many events were organised within Women Entrepreneurship Week. If you want to familiarise yourself with the international part of “the WEW moment”, see the following link: https://www.montclair.edu/entrepreneur/womens-entrepreneurship-week/.